You can use any standard USB to micro USB cable, or the cable included with your PayPal Chip and Tap Reader. Works with third party USB wall adapter. Charging cable is not included. 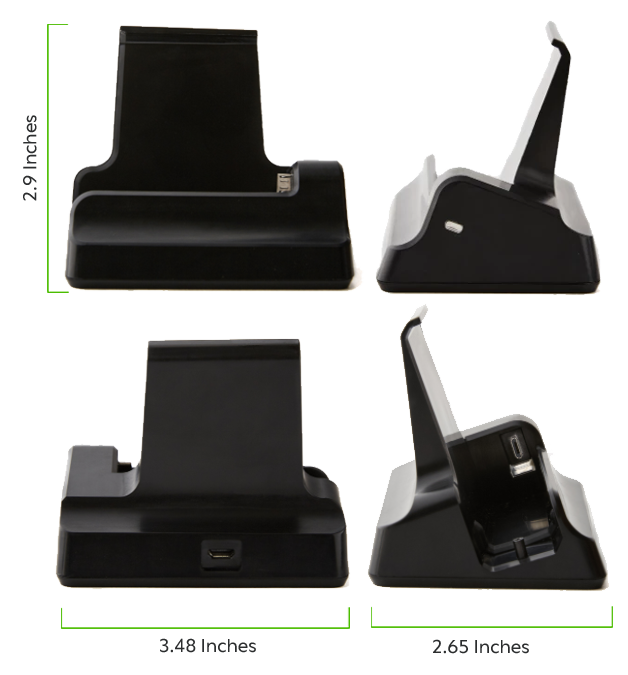 Complete your point of sale system with the PayPal Chip and Tap Charging Stand. Keep your Chip and Tap Reader charged and ready to accept payments anytime, anywhere. Just connect the USB charging cable to the matching socket on the back of the stand and you can take payments while your reader charges. You can also remove your reader from the Charging stand to take payments on the go. Pay™ while your Chip and Tap reader charges. Easily insert your reader to use it in store or remove it to get paid on the go. With your PayPal Chip and Tap reader and the Charging Stand, you have a point-of-sale system for wherever your business takes you. From quick service restaurants to retail to service -based professionals, PayPal Here can handle your unique business.